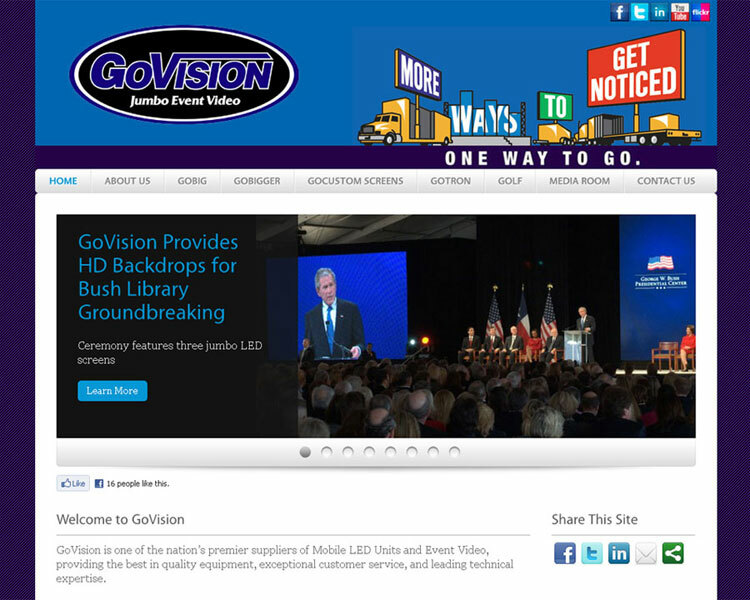 We are proud to introduce the new website for GoVision. It has been an honor to work with GoVision since the company’s inception. This new layout was designed to incorporate the firm’s new emphasis in Social Media as well as better showcase their top events.